Eviactive.com New Zealand Travel bespoke and tailor made itineraries. 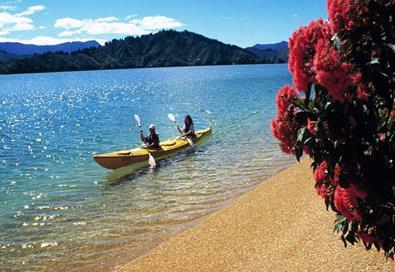 A perfect way to sample New Zealand Travel with this incredible 11-night bespoke tour. Welcome to New Zealand’s largest city! Explore Auckland shopping, cafés, restaurants and bars as you wander along High St to the Britomart area, swing past the bars along the waterfront of the Vidaduct and onto Wynyard Quarter. All of these areas are in the central city and downtown, and there’s loads to explore. Upon arrival into Auckland our representative will meet you in the arrivals hall for a private transfer to your hotel. This morning make your way to the Ferry Terminal to enjoy a Waiheke Island Wine & Art Experience. Scheduled ferry transfer Auckland to Waisheke Island. This is a scenic ride on the water of approximately 40 minutes. Your local guide will meet you upon your arrival on Waiheke Island, the jewel of Auckland’s Hauraki Gulf. Known for its beauty and tranquillity, Waiheke Island offers award-winning wines, olive oils, plump oysters straight from the sea, hand-made specialty foods and many delightful cafés and restaurants. A ‘small is beautiful’ philosophy yields low quantities of extremely high quality fruit for amazing wines. What your guide offers? Knowledge, access to some of the Island’s highly regarded vineyards where you can taste their fine wines and learn about this unique region, an introduction to the artist studios, exploration of sculpture gardens, a scenic coastal walk, a beach excursion or an exciting zipline ride over lush native bush! The day will be designed to suit you. Enjoy lunch at one of the beautiful boutique wineries on the island. On conclusion of your tour you will be returned to the ferry terminal on Waiheke Island for your transfer back to Auckland. Today you will be transferred by private vehicle to Auckland Airport to check in for your departing flight to Hawke’s Bay. Hawke’s Bay presents an eclectic mix of visual and sensual experiences. 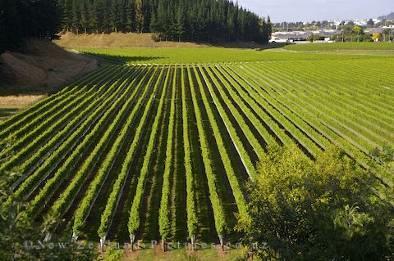 The region is New Zealand’s leading producer of red wines and has the greatest concentration of Art Deco architecture. Exclusive Guided Winery Tour by Bike. Today’s cycle starts at Clifton near the base of the cliffs of Cape Kidnappers. From here you follow the coast for approximately 7kms through the quaint settlements of Te Awanga and Haumoana. Wine tasting is available at the wineries of Clearview Estate and Elephant Hill along the way. On reaching Haumoana you turn inland and follow the Tuki Tuki River trail, with scenic views over orchards, vineyards and farmland, to the bustling village of Havelock North. Activity time including lunch – 5 to 6 hours. Today is a transfer to New Zealand’s South Island. You will fly to Nelson and the best way to see this region is with a car. Before heading to your hotel we recommend you stop for a lunch break along the way, be it at one of the famous waterfront restaurants or the fabulous locally sourced fish and chips served kiwi style in a paper wrap. We can also arrange drivers if that is your preferred means of travel. Take time to visit the town of Nelson before enjoying sunset drinks at your accommodations. This morning drive (or go by private transfer) to to Kaiteriteri to enjoy a Full Day Boat Cruise Excursion in the Abel Tasman National Park. Meet your guide and depart by boat into the Abel Tasman National Park, cruising this magnificent coastline into the very heart of the park. At idyllic Tonga Quarry your guide settles you in your stable double kayak with full training, then onto the water to discover the highlights of the Tonga Island Marine Reserve. Enjoy the antics of the cheeky NZ fur seals and watch sea birds working the shoals of fish or resting on the rocky outcrops. Explore sculptured granite headlands, tidal lagoons & forest-fringed beaches as you paddle south. Take a lunch break on one of the many golden beaches before continuing to Medlands Beach. Relax at this golden cove or enjoy an optional ½ hour bush walk whilst your guide loads kayaks and gear. Rejoin the cruise and recount the days adventure while cruising back to Kaiteriteri. Picnic lunch is included in this full day tour. Fly from Nelson to Queenstown, the adventure capital of New Zealand. There’s a huge range of outdoor activities to do and a buzzing town and cranking nightlife. This South Island gem is simply stunning year-round, with the lake and the mountains forming a beautiful backdrop as you explore the village. Upon your arrival in Queenstown we provide a private transfer to your hotel. The remainder of the day is yours to meander and explore. We recommend you explore the centre of Queenstown with its diversity of shops and activities. Perhaps head up the gondola to the top of Bob’s Peak for an amazing view of the area. Option1: Transfer to Queenstown Airport where you will lift off for the breath taking Milford Sound Helicopter Excursion with Glacier Landing. The icon of Mitre Peak beckons you as begin your journey into Milford Sound. Get up and close with some of the most spectacular mountains and glaciers in the Southern Alps before landing at Milford. Upon departing Milford via the Harrison Valley take in the beautiful blue green icefalls, true rivers of ice, as our tour lands you exclusively upon Ngapunatoru Plateau of Mt Tutoko. Option2: Travel by coach through beautiful Fiordland National Park. Admire stunning landscapes and glacial scenery at one of the world’s most scenic locations. The trip to Milford Sound is a 4-hour drive from Queenstown and a 2-hour drive from Te Anau. After pickup, journey through the pristine mountain landscapes of Fiordland National Park. Marvel at the Avenue of Disappearing Mountains, an optical illusion where the mountains appear to sink into the surrounding beech forest. Crossing the halfway point between the equator and the South Pole is a stunning vista of over Hollyford Valley and the Darran. Thrill seekers can try a Quad Biking Excursion, where the adventure is in your hands! Queenstown Hill is a high country sheep station with more than 25kms of varied trails to play on. Go off-road and explore the terrain with your expert guide. At the summit stop to enjoy a hot drink as you take in the awe-inspiring 360° panoramic views over the surrounding lakes and mountains. *You will be fitted with protective clothing and an explanation of how to ride your bike. Day at leisure to visit the museums and shops or let us organize a half day wine tour, cycling tour, or boat tour off the shores of Queenstown. All great things come to an end. Our private driver will assist you to the airport and on to the next destination.